Loaded with all the classic flavors of traditional jalapeno poppers, my Skillet Jalapeno Popper Dip is creamy, spicy, cheesy, and has just the right amount of BACON! This easy recipe is perfect for tailgating at home or at the game! From the peewee games through high school and college and onto the NFL, football is a part of our daily lives August through January each year. Growing up in a house full of girls, I wasn't a huge football fan. It wasn't until I started my first 'real job' that I became a fan of the game. It started out as going to the games only because I was invited and wanted to socialize with my 'work family'. I was clueless about what was going on in the game, but picked up things here and there and got hooked! 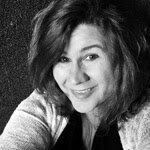 My now husband, Don, was the designated driver on many of our 'work family' outings, so we spent a lot of football and driving time together over the years. After we were married, we started watching the games at home. I would make up our favorite football food, and we'd take in at least one game every Sunday. When Madison came along, she joined right in on the football fun! As a matter-of-fact, I clearly remember watching a play-off game in the hospital just 2 days after she was born! Our team won and we got to go home with our beautiful new baby too!! It was a good day all around!! Anyone who knows me, knows one of my all-time favorite flavor combos is what you get in jalapeno poppers! 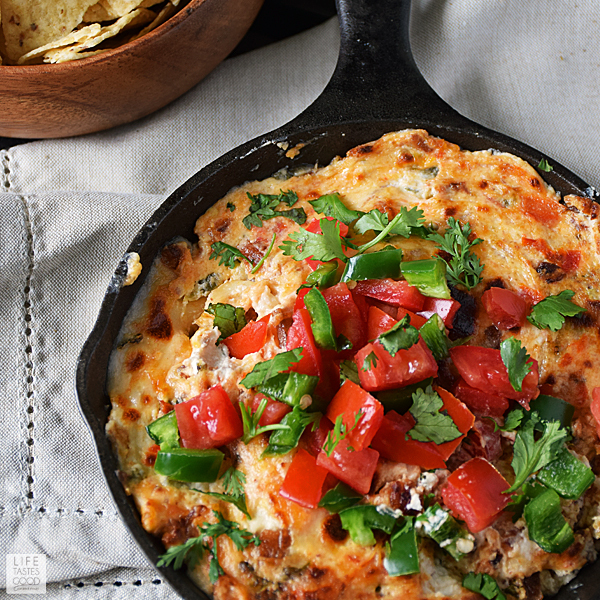 I find any excuse to use the flavors in my favorite appetizer to create new and exciting recipes such as my Jalapeno Popper Deviled Eggs, Jalapeno Popper Hot Dogs, and Jalapeno Popper Stuffed Mushrooms, and now this tasty dip that comes together quickly in a skillet! 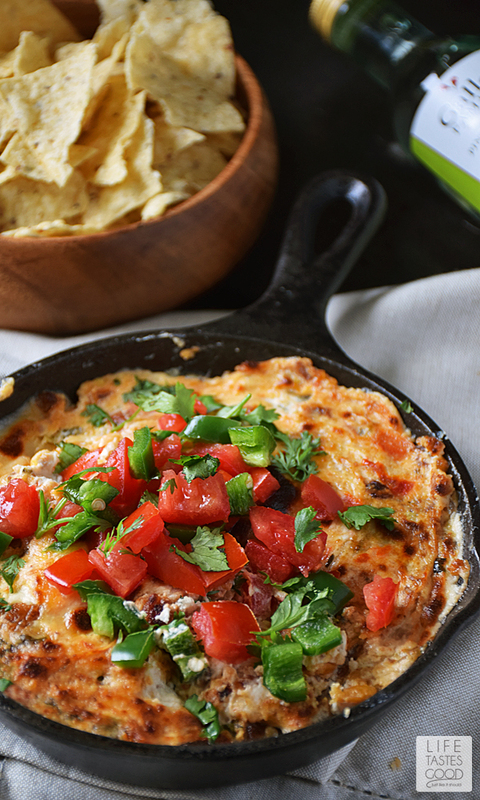 To make this scrumptious dip, heat a skillet over medium heat. You can use a small 6" skillet up to a good sized 10" skillet. The only difference will be the chip dipping depth. You'll be able to dip deeper into a smaller skillet, but the taste is amazing no matter if you go large or small. Cook up a couple pieces of thick sliced bacon in the skillet to render the fat. I like to cook them to just a little crispy for crumbling purposes. Remove the bacon from the pan when it is cooked how you like it and drain all but a tablespoon of fat from the pan. Saute 1/4 cup finely diced jalapenos for about 30 seconds until they just start to soften, and add 1 (8 ounce) package of cream cheese to the skillet. Stir to combine with the jalapenos. Mix in most of the crumbled bacon, reserving about a tablespoon for garnish. Top it off with 1 cup of your favorite shredded cheese blend. I used a mix of cheddar cheese. Place the skillet under the broiler until the cheese is melted and lightly browned. Remember to leave the oven door ajar when broiling and watch it closely! It will burn quickly. Garnish with some freshly diced tomatoes or salsa, sliced jalapenos, the reserved bacon crumbles, and some freshly chopped cilantro. Heat a skillet over medium heat and cook 2 pieces of thick sliced bacon to just starting to crisp. Remove the bacon from the pan and drain all but 1 tablespoon fat from the skillet. Saute 1/4 cup finely diced jalapenos in the bacon fat for about 30 seconds until they just start to soften. Add 1 (8 ounce) package of cream cheese to the skillet. Stir to combine with the jalapenos. Mix in most of the crumbled bacon, reserving about a tablespoon for garnish. Spread 1 cup of your favorite shredded cheese blend over top of the cream cheese mixture, and place the skillet under the broiler until the cheese is melted and lightly browned. Remember to leave the oven door ajar when broiling and watch it closely! It will burn quickly. When the cheese is lightly browned to your liking, remove it from the oven and garnish with freshly sliced tomatoes or salsa, diced jalapenos, the reserved bacon crumbles and some freshly chopped cilantro. Enjoy! I find that so sweet, football and a newborn. LOL. This dip is my kind of app for any gameday event! Your photos are gorgeous as usual. I love this recipe!!! I love finding new ways to use my cast iron skillet. This popper dip is on my "to do" list. 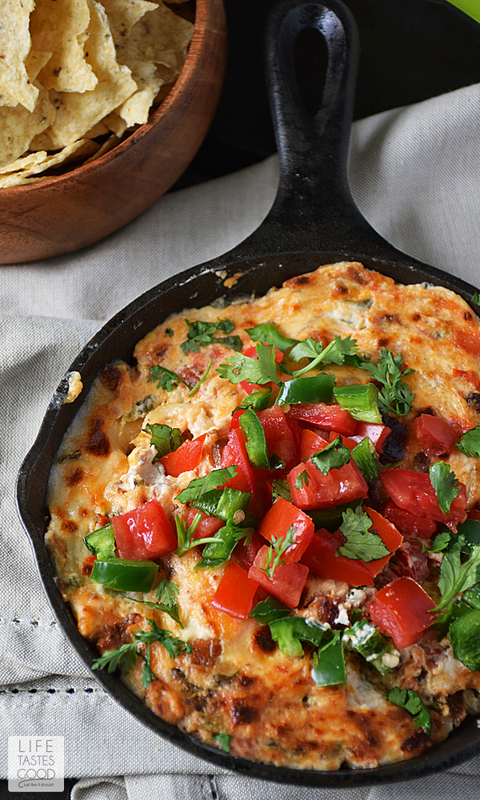 Love a good skillet dip! This dip looks fantastic - I'm definitely making it!!! I love jalapeno poppers any way I can get them. This dip looks like the perfect way to get my fix! I can't wait to try this dip! It looks out of this world! I am drooling for this dip! I love the story about watching the game with your 2 day old baby....THAT's a football fan! Oh my heavens, I am drooling over this dip! WOW your dip has me making plans for Sunday football right now!! Seriously...this dip looks out of control delicious!